Many providers have been on board with EHR from the beginning as a way of keeping up with the newest trends in health information technology, but most are encouraged to get on board with EHR because of the incentives. Health IT which includes the electronic health record (EHR) enables healthcare providers to effectively manage patient care through the use and sharing of patient records. Beginning in May 2011, physicians, hospitals, and other qualified health care professionals became eligible to begin receiving incentive payments for meeting the criteria as a meaningful EHR user. The EHR movement has created a kind of frenzy in the healthcare industry. A number of large health systems have jumped on the Epic bandwagon. Epic is a company that develops software for medical groups, hospitals, and other healthcare organizations. Over the past several years, a number of healthcare systems have turned to Epic for their EHR needs. Since Epic is one of a few software companies that offers practice management (PM) and revenue cycle management (RCM) integrated with EHR. I can understand why Epic's software has been appealing to so many large healthcare systems. On the surface, Epic appears to be the perfect one-stop-shop for providers looking for an EHR system that meets the federal requirement to get the incentive. Epic has great features but there are many reports that it has fallen short on its promises. There are several articles that suggest that providers are disappointed by Epic's results. If you perform a Google search of "Epic EHR problems" you might find stories similar to the two listed below. Sutter Health reported that the EHR system they paid nearly $1 billion for crashed in late August 2013 for eight hours during a system upgrade. Several locations had no access to the system including Alta Bates Summit Medical Center, Eden Medical Center, Mills-Peninsula Hospital, Sutter Delta, Sutter Tracy, Sutter Modesto and a number of clinics affiliated with the health system. Wake Forest Baptist Medical Center reported huge losses since the adoption of its new EHR system which has led to several changes. The hospital reportedly loss of over $60 million as of September 2013. The employees are losing their merit increase for the year, nearly 950 jobs were cut early that year, decreased hours, and a number of other changes to staffing adjustments and pay cuts. Growing Pains for Epic EHR? Many organizations report that it takes a minimum of five years to get fully operational after implementing Epic's EHR. So it is likely that the problems reported are just hiccups. 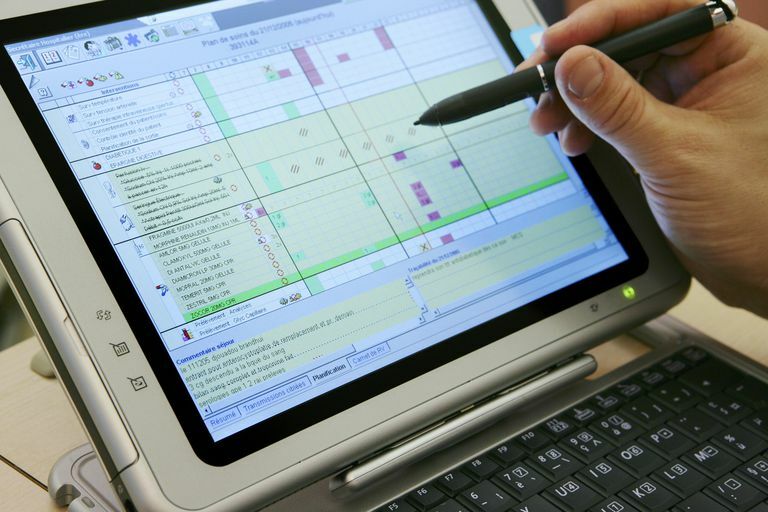 A health care system within its first year cannot adequately judge the performance of the EHR because at this point it is probably not fully implemented. Like any other software change, providers should be prepared financially to weather the storm because it is coming. From the examples of the Epic implementation, providers should find out what the time frame is to become fully operational before purchasing any new system. This can help the medical office plan ahead for any problems before they arise. Also, aware employees ahead of time that it will be an uphill battle.